Tampa is a major tourist destination in the state of Florida, in the United States of America. Home to over 358,000 residents, it offers a variety of museums, amusement parks, aquariums and a vibrant nightlife scene. This American city’s top attractions include Busch Gardens Tampa Bay, the Museum of Science & Industry and Bayshore Boulevard. A delightful holiday experience is waiting for you in this destination in Florida, with cheap flights to Tampa now available for a limited time! Tampa is the home of Tampa International Airport (TPA), a convenient 10-minute drive or a scenic 40-minute bus ride from the city centre. Get past the corporate facade of this destination and discover gorgeous natural attractions around Tampa, such as Lettuce Lake Regional Park and the Upper Tampa Bay Trail. 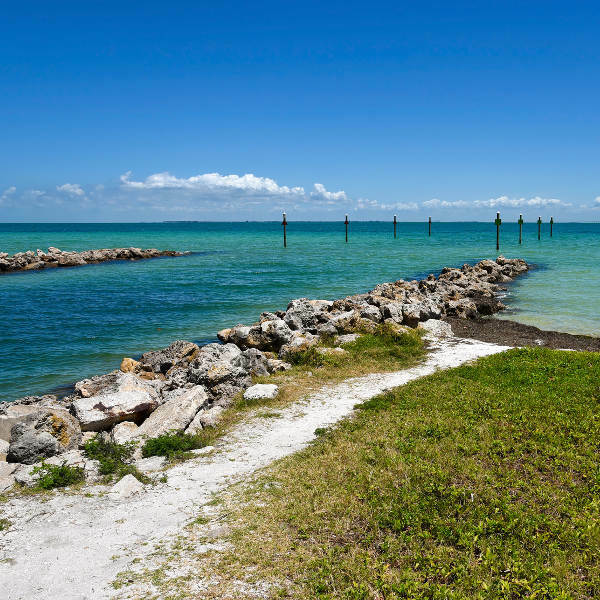 Like most of Florida, there are plenty of gorgeous beaches and islands around Tampa Bay, including Ben T Davis Beach, Cypress Point Park and Anna Maria Island. Animal lovers will be thrilled with all the creatures they can discover in Tampa. Among the many establishments you should check out, consider Lowry Park Zoo, Big Cat Rescue and Busch Gardens. Take advantage of Tampa’s year-long warm weather by visiting this destination between the months of September and December (autumn to early winter). These months mark the end of the wet season with rainfall volumes descending gradually. In addition, many hotels offer reduced room rates around this time, making this one of the best time to visit Tampa. Popular events that take place during this period include the Tampa International Gay and Lesbian Film Festival and Oktoberfest Tampa. Get ready to discover another one of Florida’s major cities – Tampa. At first glance, you’ll see why it is considered to be the economic centre of the western side of the state. Tampa offers you more than this however, with a vibrant tourist scene that will guarantee you a fantastic holiday experience. Explore this destination and discover its many iconic sights, including the imposing SS American Victory Mariners’ Memorial and Museum Ship as well as the stunning Sunshine Skyway Bridge. 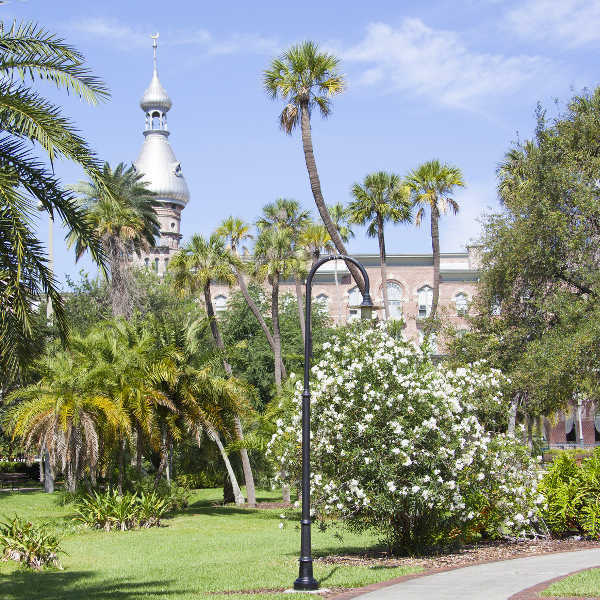 Plenty of sightseeing opportunities are available around the city, with beautiful scenery at the Tampa Riverwalk and interesting history in the neighbourhood of Ybor City. Ybor City is furthermore the place to treat yourself to a large assortment of eateries, with influences from destinations across the world, including Cuban, Italian, Spanish and Greek. Make sure to come by during the evenings to experience this neighbourhood’s energetic nightlife scene. 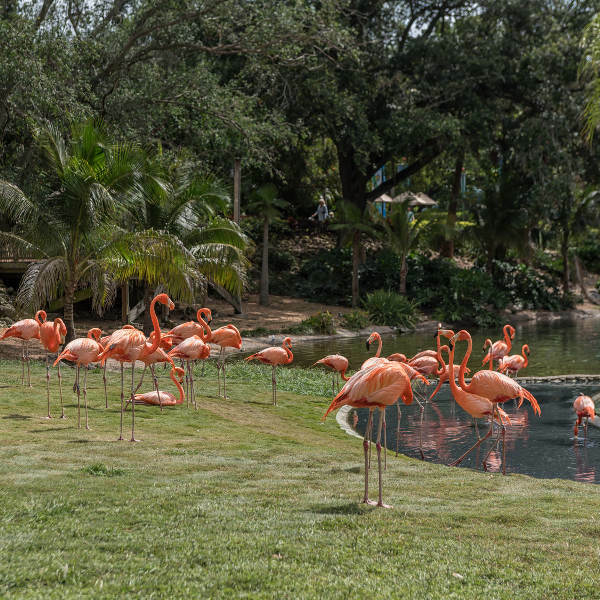 Take the kids on a fun and fascinating time, at various animal attractions, such as the Tampa Electric Manatee Viewing Center, Big Cat Rescue and Busch Gardens. Compare several airlines and book your cheap flights to Tampa online at Travelstart!